Florida State’s recruiting has been taking off under Willie Taggart. Tribe19 has added five commitments since April 9. The class ascended to No. 1 in the country earlier this week before falling to No. 3 behind Oklahoma and Alabama. But Tribe19 didn’t just begin earlier in April. It started on February 27, 2016, when four-star defensive end Michael Morris Jr. decided to commit to the Seminoles. He was the first member of this class and his pledge has held strong for over two years. Morris’ dad played offensive line at Florida State back in the 80’s. Being a legacy recruit played a big factor in his decision because Morris had been back to FSU with his dad multiple times and really loved the culture. He also had known Jimbo Fisher and the old coaching staff since he was a child. Things changed when Fisher moved on and his staff was ousted at Florida State. Morris doesn’t really know the new coaching staff and he’s still trying to develop relationships with them. The 6-foot-5, 250-pound prospect is planning to get back up to Tallahassee so he can continue to get to know the new coaches. Morris hails from American Heritage High School. Tarvarus McFadden and Brian Burns are two Seminoles who both came through American Heritage. The four-star defensive end is ranked as the No. 221 overall player and the No. 16 SDE in the country by the 247 Sports composite rankings. Check out our full interview with Tribe19’s first commitment below. NoleGameday: You committed to FSU over two years ago. Why did you decide that was the right time? 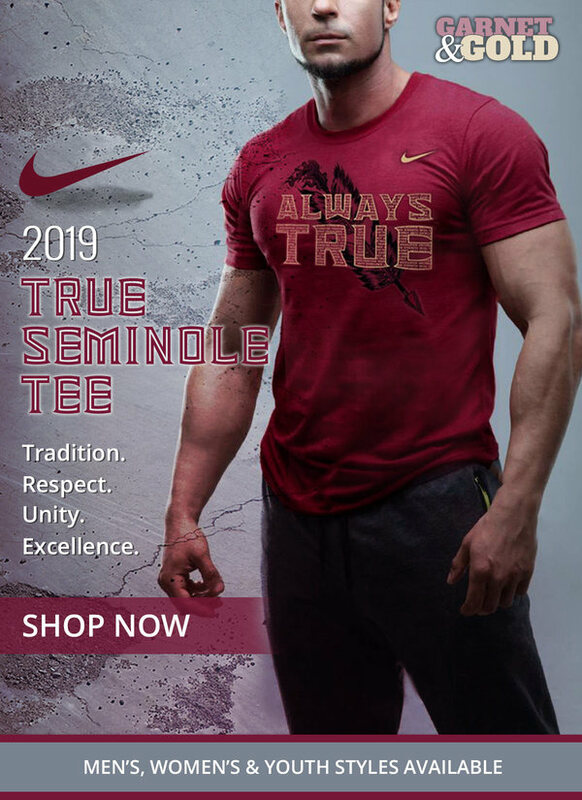 NoleGameday: Did it mean anything to become the first member of Tribe19? NoleGameday: Did your commitment waver at all when the switch was made from Jimbo Fisher to Willie Taggart? NoleGameday: How big of a factor was being a legacy recruit in your decision to pick FSU? NoleGameday: What’s it like to join the pipeline from American Heritage to FSU, especially with guys like Tarvarus McFadden and Brian Burns coming through recently? NoleGameday: You’ve been on campus with Fisher as the head coach and also since Taggart has taken over. Have you noticed any changes? NoleGameday: How do you think you fit in amongst their current defensive ends? NoleGameday: Have you gotten a chance to talk to Mark Snyder? NoleGameday: Who are you trying to recruit to FSU?